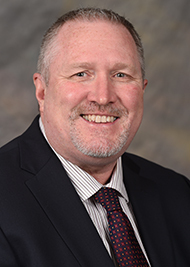 Beginning his career as a physician assistant in Colorado, Donald Allison has worked over 25 years in various clinical settings including migrant community health clinics and the emergency room. In 2004, along with 13 other PAs, he had the opportunity of participating in a two-year pilot project introducing the physician assistant profession to the United Kingdom (now called physician associates in England). Throughout his career, Donald has worked in multiple settings and in various roles with diverse populations and individuals, endeavoring to decrease healthcare disparity for Mexican migrants, and other underserved populations throughout various locations in the world. Subsequently, Donald has firsthand knowledge of the health needs of the Blackfoot community in Montana, Appalachia in Northeast Tennessee, maximum security prison communities, various groups in China, and communities experiencing health disparity in Mexico and Peru. In addition, as a traveling faculty, Donald had the privilege of teaching a semester of Medical Anthropology and Public Health, in an experiential learning format, in New Orleans, India, Argentina, and South Africa. Donald, a native of Montana, has a Master’s degree in Physician Assistant Studies and a Ph.D. in Culture, Literacy, and Language. His dissertation, entitled “Mexican Migrant and Seasonal Farmworker Culture, Gender, and Language Ideologies: Pláticas de HIV/AIDS,” is a qualitative study evaluating how Mexican migrant and seasonal farmworker men talk about HIV/AIDS and what their discourse reveals about culture and gender. Research interests include: linguistic landscape, health literacy, D/discourse, gender studies, cultural issues in health care, Mexican migrant farmworkers, and health disparity. In his encounters with students, Donald uses his experiences as a clinician, an academician, and a researcher to challenge their worldview, and the approach they will use to provide healthcare to the diverse array of patients they will encounter in their future careers.